Size: about 3 45mm. Material: 14K Gold Plated. Fashion 14K Gold Filled korean Square Cubic Zirconia Crystal Stud earring Gift. Quantity: one pair earrings. Fashion 18k Gold Filled White Green Circle Cubic zirconia Huggie Hoop Earrings. Simulated Gold Tone are used. Main gemstone size is 5mmx5mmx1. Simulated Gold Tone are used. Main gemstone size is 1mmx1mmx18. Lovely Signed Swarovski Earrings. Type: Clip On. Gold Plated. (Flower 18K GP Swarovski Crystal Rhinestone Hook Clip-stand Earrings BH1108. Product type: Earrings. Stone color: Clear. And we believe nothing can be a problem with communication.). Your understanding is so appreciated. (Stone color: Clear Blue Zircon. Product type: Earrings. I will be greatly appreciated. Your understanding is so appreciated. And we believe nothing can be a problem with communication.). (Stone color: Clear Zircon. And we believe nothing can be a problem with communication.). Product type: Earrings. Your understanding is so appreciated. I will be greatly appreciated. Paint color : No. (Product type: Earrings. Stone color: Clear. And we believe nothing can be a problem with communication.). I will be greatly appreciated. Your understanding is so appreciated. Paint color : No. 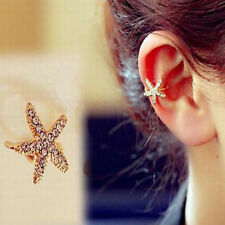 (Flower 18K GP Swarovski Crystal Rhinestone Hook Ear Stud Earrings BH1562. Product type: Earrings. Stone color: Clear. Your understanding is so appreciated. And we believe nothing can be a problem with communication.). (And we believe nothing can be a problem with communication.). Product type: Earrings. Stone color: Clear. Your understanding is so appreciated. I will be greatly appreciated. Paint color : No. (Product type: Earrings. Stone color: Clear. And we believe nothing can be a problem with communication.). I will be greatly appreciated. Paint color : No. We will reply you within 24 hours. Lovely Signed Swarovski Earrings. Type: Clip On. Yellow Gold Plated. Excellent Condition; Very Clean. Lovely Signed Swarovski Earrings. Type: Clip On. Gold Plated. Excellent Condition; Very Clean. Kenneth Jay Lane Emerald Green Crystal Teardrop Clip Earring NEW! Earrings have "Kenneth Lane" trademark crest on back. Green Crystal Earring. 2" drop length. Earrings arrive in a KJL black jewelry pouch! (Butterfly Green Wings 18K Gold GP Swarovski Crystals Hook Earrings BH2120. Product type: Earrings. I will be greatly appreciated. And we believe nothing can be a problem with communication.). Your understanding is so appreciated. (Stone color: Golden. Product type: Earrings. Your understanding is so appreciated. I will be greatly appreciated. And we believe nothing can be a problem with communication.). Quantity: 1pair. Lovely Signed Swarovski Earrings. Plated with Yellow Gold. New Inventory always coming in - keep checking back. (Product type: Earrings. Stone color: Colorful. I will be greatly appreciated. And we believe nothing can be a problem with communication.). Your understanding is so appreciated. Paint color : No. LALIQUE Violet CRYSTAL WITH GOLD TONE MOUNTING CLIP ON EARRINGS like new condition. Noble 18K Yellow GP SWA Rhinestone Oval Gray Crystal Clip-stand Earrings BH2788. Stone color: Clear Gray. Product type: Earrings. I will be greatly appreciated. Your understanding is so appreciated. Lalique NERITA frosted clear blue tone crystal with gold plated mounting clip-on dangle earrings made in France. The pendant bead is detachable and can be worn as necklace pendant as shown on photo. Lovely Signed Swarovski Earrings. Type: Clip On. Yellow Gold Plated. New Inventory always coming in - keep checking back.